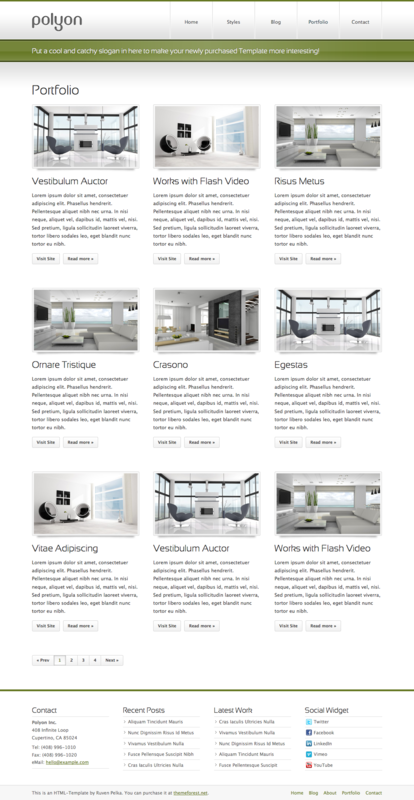 Polyon is truly a HTML Template of the next generation. 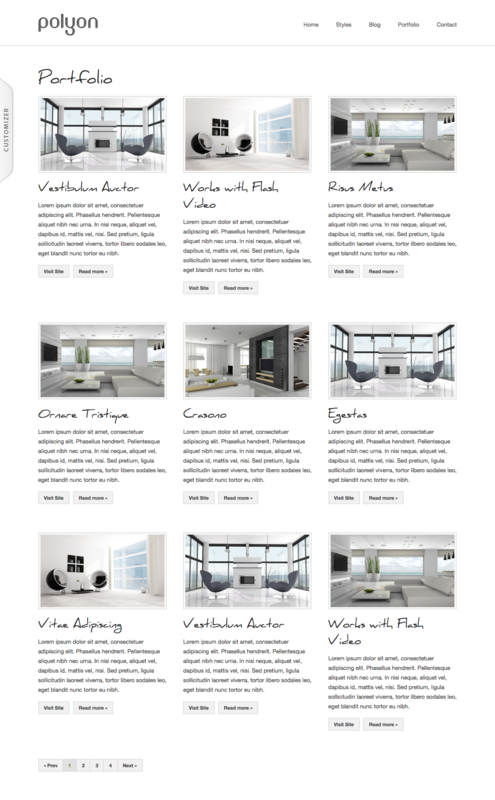 It is extremly customizable, it supports unlimited colors and the whole Google Web Font Directory plus integrated fonts. The possibilities are endless. You can transform the template till it fits your needs exactly. 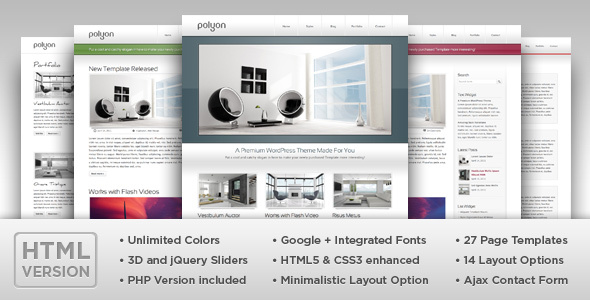 Polyon is based on a rock-solid HTML5/CSS foundation and enhanced with CSS3 features to make it future proof. It also supports rounded corners and flash videos. This is an excellent template and a dream to work with. Well done! 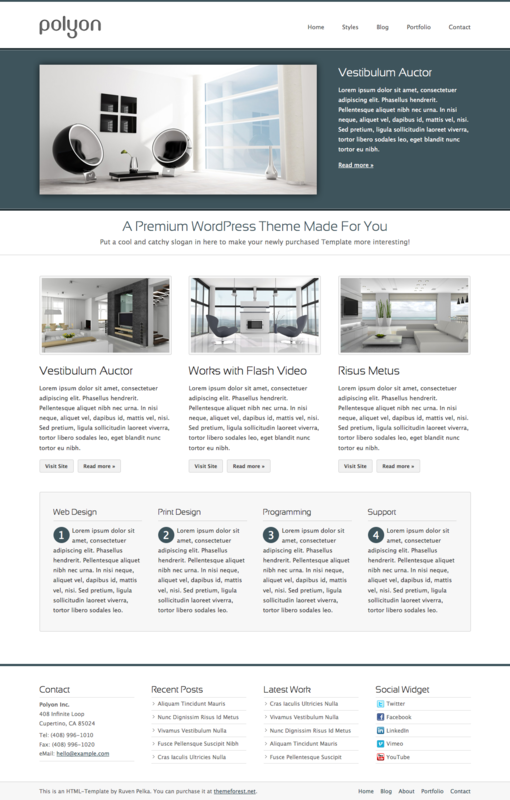 I have purchased both the html and wordpress versions of this theme and I cannot tell you how amazing this is to work with. 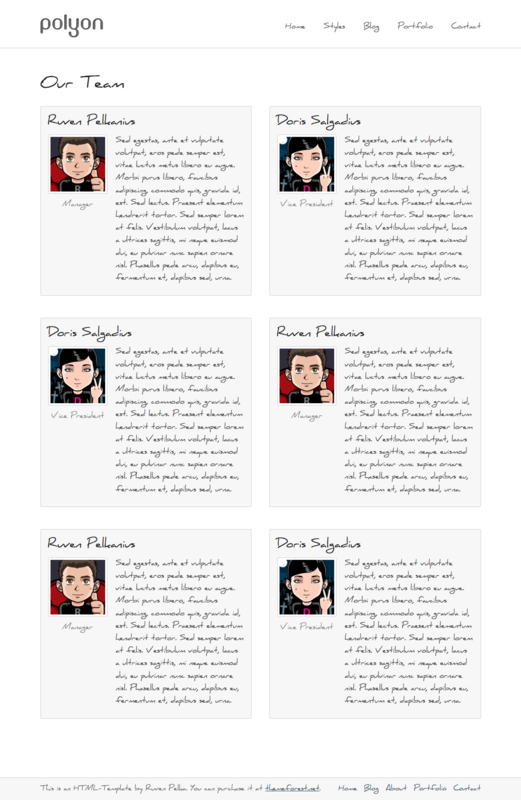 I have been a blog designer for 10+ years and I have worked with hundreds of templates, but this one is very easy to use and simply beautiful to customize. The shortcodes is the best feature, you give so many shortcodes that they really make the site unique. Thanks again. 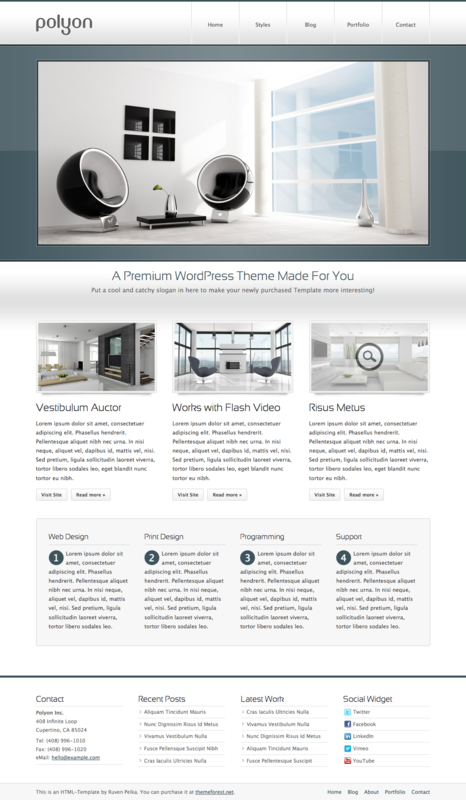 Love this theme, one of the best I’ve ever purchased from themeforrest. Not only is this a great theme but the support from Ruven is outstanding. I had a few questions for him and his response was quick and friendly. Very nice template. The options seem endless and the documentation is outstanding. PHP Version: In the PHP version the recurring HTML code is separated into different files. E.g. you will find the header code in the file “_header.php” and not in every single file. Except of that there is no other function provided that differs from the HTML version (e.g. 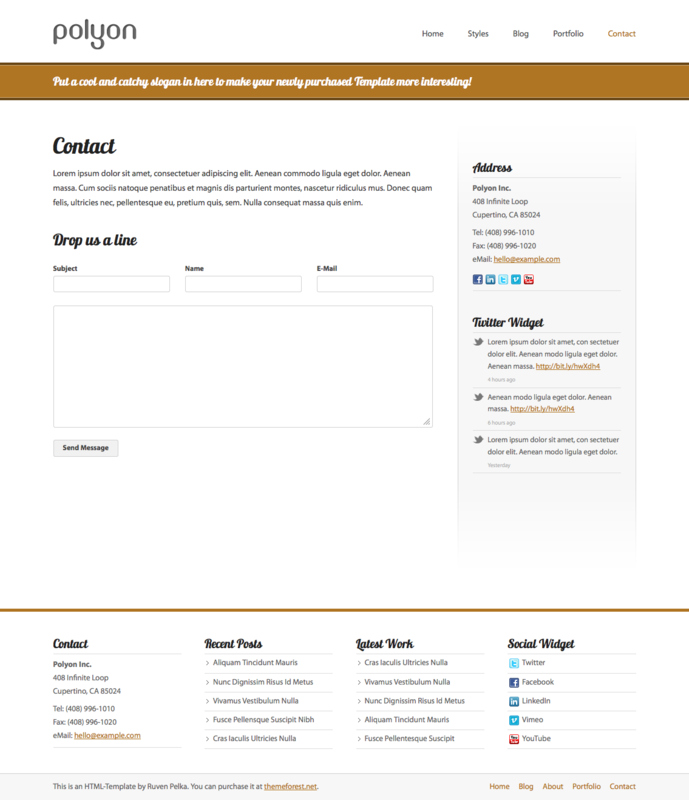 dynamic blog or widgets). 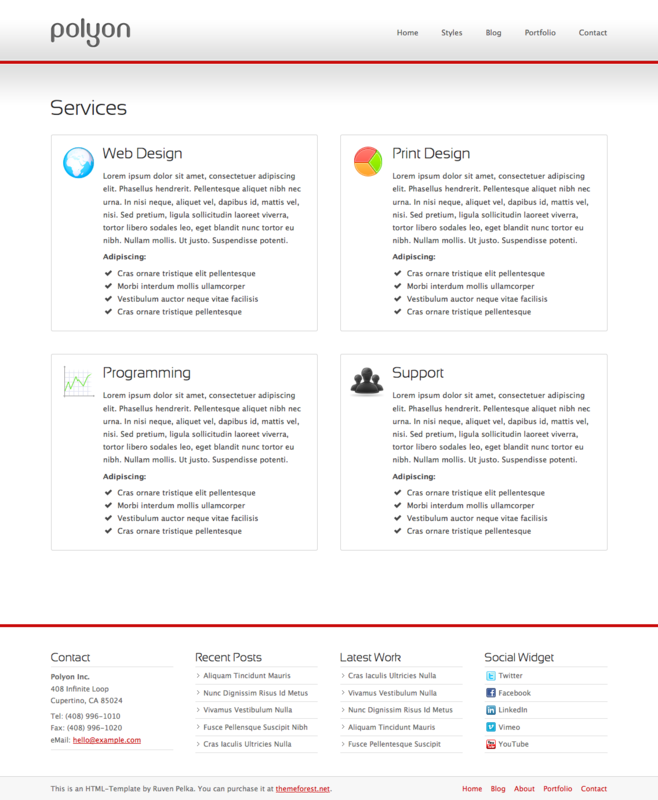 Mobile: This template is not responsive and does not adapt to smaller screen sizes. Note: The placeholder images and the Customizer you see in the Live Preview are only for demonstration purpose and are not included in the theme.